Datsun today unveiled its highly anticipated third model, the trend-setting Urban-Cross Datsun redi-GO. 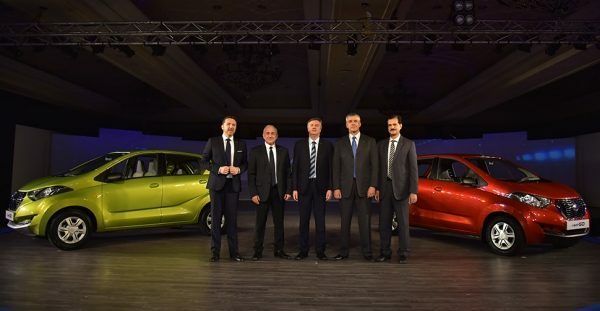 Just two years after the brand entered the Indian market, Datsun is expanding its offering by introducing an all-new class of car aimed at young, aspirational customers ready to take the next step in their lives. These customers have an achiever mind set – value fun and freedom, and confidently move towards success and opportunity. The Datsun redi-GO symbolizes these key values. 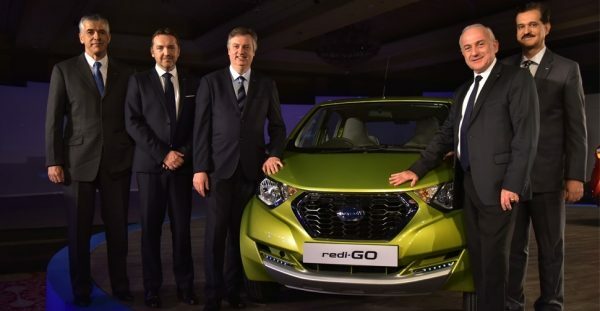 The Datsun redi-GO is India’s first Urban-Cross, a car that takes the best features of a crossover and mixes them with the major attributes of an urban hatchback. It combines the roominess, best in class ground clearance (185mm) and sheer fun of a crossover and blends that with zippy driving and fuel efficiency of an affordable compact hatchback. The best of both worlds. The Datsun redi-GO lives up to its name by being a lively, all-action car that’s ready to go wherever you want to venture. “In a sea of look-a-like hatchbacks, the Datsun redi-GO’s modern and distinctive looks help it stand out from the crowd. Aptly called, YUKAN design (brave and bold), its design reflects the sense of individuality of the people who buy the car: confident go-getters who know where they want to be in life,” said Vincent Cobee, Global Head of Datsun. With fresh, eye-catching styling, the Datsun redi-GO boasts striking character lines along the bodywork. The distinctive ‘D-cut’ grille, headlamps and rear lamps are combined to create a sense of dynamism and sophistication. The team of Japanese designers behind the car have given the vehicle a flowing style, creating the perception that it is in motion even when it is standing still. The tall body structure enabled engineers to deliver a spacious, bright interior and high driving position that is beyond expectations for a car in this class. Best in class visibility and high eye point help driver to be aware of the road situation and feel confident behind the wheel. An expansive and inviting cabin expresses a sense of freedom, at the same time illustrating the car’s practicality and modernity. The Datsun redi-GO is based on the versatile Common Module Family (CMF-A) platform from the Renault-Nissan Alliance. Powered by an all-new 0.8L three-cylinder fuel efficient engine paired with a five speed manual transmission, the Datsun redi-GO delivers lively dynamic performance and high fuel efficiency. The new suspension system offers an excellent balance between handling, ride comfort and manoeuvrability.